KIEV, Ukraine -- Following the international auditors, the Main Control ad Revision Office of Ukraine (MCROU, Public Spending Inspection)revealed the results of its internal audit of the Ukrainian government's financial activity in 2008-2009. As the Head of MCROU Petro Andreev announced at a press conference, Yulia Tymoshenko's government directed more than 36.1 bln UAH ($4.5 bln USD) received from the International Monetary Fund in 2009 to finance the current needs of the state budget instead of covering the external debt, as it was prescribed by the agreement with the IMF. 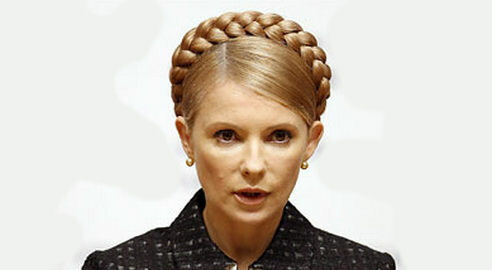 The total amount of Yulia Tymoshenko's government violations in spending Ukraine's public funds in 2008-2009 reached 53 bln UAH ($6.6 billion USD), according to MCROU's report. According to Mr. Andreev, a large part of the funds laundered from the State budget was spent on Ms. Tymoshenko's presidential election campaign. In addition, the State Treasury of Ukraine illegally provided loans to the Pension Fund, amounting to 42.1 bln UAH ($5.4 bln USD). The State Treasury also placed large deposits in selected commercial banks, including 6.4 bln UAH (equal to $0.8 bln USD), $1.165 bln USD, and 97 mln EUR from the State Budget funds. These funds were placed either with the reduced interest rates or interest-free. Mr. Andreev also mentioned the violations concerning funds obtained under Kyoto Protocol. He referred to the purchase of emergency ambulances at a price that was inflated three-fold. Additionally, Andreev mentioned nationalization of the bank "Kiev" as another example of the abuse of national budget. The international audit, referred to recently by numerous international media, was conducted by three US-based companies, Trout Cacheris PLLC, Akin Gump Strauss Hauer & Feld LLP and Kroll Inc., and was released on October 14. Subsequently, two lawsuits were filed in the UK and US courts with the aim to claim back the money misspent by Yulia Tymoshenko's government from various companies which had been found involved in the money laundering schemes.